Thanks for your interest in XO Editions! 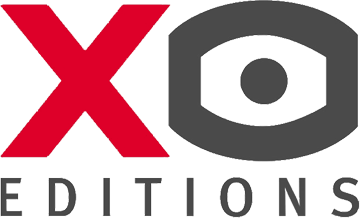 *The information collected from you by XO Editions (a member company of the EDITIS Group) is the subject of an automated processing whose purpose is to respond to your request. Information marked with an asterisk is mandatory to enable us to respond to you. This information is reserved for an exclusive use by XO Editions and will be retained for 3 years starting from the collection of your data or from the last contact you made. In accordance with the Regulation (EU) 2016/679 on the protection of personal data, you have the following rights on your data: right of access, right of rectification, right to erasure (right to be forgotten), right of opposition, right to limitation of processing, right to portability. You can also set guidelines for storing, deleting and communicating your personal data after your death. To exercise your rights, please send your registered letter together with the copy of your ID with acknowledgment of receipt to the following address: DPO EDITIS, 30 place d’Italie, 75013 Paris, France. You can also contact our team by email at xoeditions@xoeditions.com. In the event of a breach of the above provisions, you have the right to file a complaint with the National Commission of Data Protection and Liberties (CNIL – France).